selling assets for more than they cost. Companies based in the UK pay corporation tax on profits from both the UK and abroad. Foreign companies with a UK branch or office have to pay tax on the profits from their UK activities. The small profits rate: companies with profits of less than £300,000 pay corporation at tax 20%. The main rate: companies that have a profit of more than £300,000 pay corporation tax at 21%. 21% on anything above £1.5 million. From 1 April 2015 the small profits rate will be unified with the main rate into a single rate of 20%. There are various opportunities for businesses to reduce their corporation tax bill. Some of these are only available to different sized companies or specific industries. 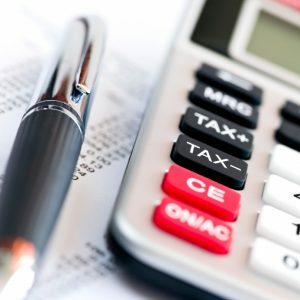 All businesses can deduct the costs of running the business from profits before tax. This includes salaries, office equipment and pension contributions. So it makes sense to keep careful records of expenditure throughout the year. SME Scheme: 225% on R&D costs. This means that for every £100 spent on R&D, corporation tax is reduced by £225. There are specific rules to determine if a business is an SME for R&D relief. Large Company Scheme: 130% on R&D costs. Projects that qualify for R&D relief must aim to improve knowledge or capability in science or technology by solving a scientific or technological uncertainty. They cannot just work on improving their own technology. The government has guidelines that define these terms within the context of R&D relief. The company will have to provide evidence of how the definition of R&D applies to a project in order to claim the relief. But remember, you can only claim R&D relief if your business is liable for corporation tax. Companies that make a profit from exploiting patented inventions may be able to benefit from the patent box. The patent box allows a 10% rate of corporation tax on profits earned after 1 April 2013. There are also rules on the types of patents that qualify and types of income from patents that qualify. Applying for patent box relief needs to be done within 2 years of the end of the accounting period in which the profits and income were earned. are directly involved in the production and development of certain films, television programmes, animation programmes or video games. In addition the film, TV programme or video game must pass a ‘cultural test’ administered by the British Film Institute to qualify for the relief. Companies can claim relief on the transfer of assets to shareholders when they change from being a private limited company to a partnership owned business or a sole trader. Introduced in 2013, the relief will operate until 2018. Trading losses can sometimes be offset against other profits to reduce the amount of corporation tax payable. For example, a company makes a loss from trading but makes a profit from renting out a building in the same accounting period. Trading losses can be carried back against profits in the previous accounting period or carried forward and offset against future profits. The rules in this area are very strict to prevent tax evasion so seek advice before making a decision. We can advise on which rates and allowances are available to your business. Contact us for more information. The deadline for paying corporation tax is 9 months and 1 day after the end of the accounting period. The deadline for filing a corporation tax return is 12 months after the accounting period ends. Companies with profits of more than £1.5 million pay their tax in quarterly instalments. It’s possible to file your annual accounts with Companies House and company tax return together using accounting software or HMRC’s online corporation tax service if they cover the same period. You can get more time to file your accounts if something beyond your control prevents you from sending your accounts and you contact Companies House before the filing deadline. You can’t pay corporation tax by post. Ways to pay include online, over the phone, by direct debit or in person at a bank, building society or post office. The time it takes for your tax to reach HMRC will depend on your payment method so take this into consideration when choosing how to pay. Let HMRC know if you don’t owe any corporation tax for an accounting period. Otherwise they will send payment reminders. The corporation tax year runs from 1 April to 31 March rather than following the financial year. Different rates of corporation tax may apply if your accounting period covers more than 1 corporation tax year. You will need to work out how many days each rate applied and then work out the tax due for each rate. The thresholds reduce in line with your accounting period. For example, if your accounting period is 4 months, the small profits threshold is £100,000. Contact us if you need any further information or advice regarding corporation tax.